Ansel Adams: Discoveries, opening January 31, 2010, at Phoenix Art Museum, offers new insights into the photographer’s greatest works by bringing the unparalleled holdings of the Center for Creative Photography’s Ansel Adams archive to light. The exhibition, featuring 120 photographs and dozens of rare archival documents and materials, will allow Museum visitors to explore the career and beloved photographs of one of America’s photographic masters in tremendous detail. The Center for Creative Photography, at the University of Arizona, was co-founded by Adams and then university president, Dr. John P. Schaefer. Adams worked throughout his life to champion photography as an art form, culminating in the creation of the Center for Creative Photography in 1975. 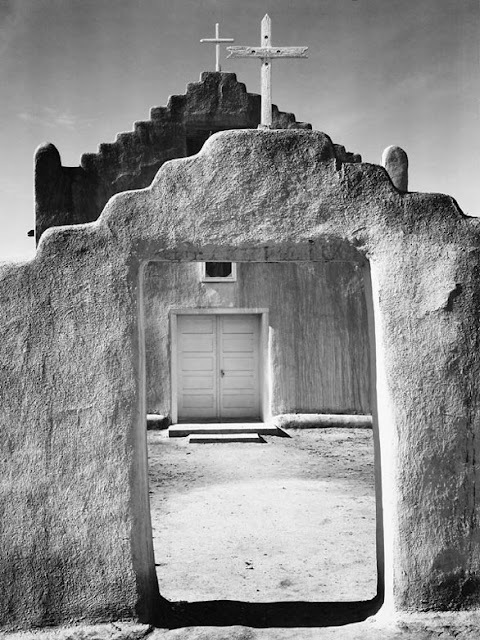 The Tucson institution houses Adams’ personal collection of prints and papers, as well as video footage, personal correspondence, photographic equipment, proof prints, alternate views, negatives and portraits of the photographer. Due to a standing collaboration between Phoenix Art Museum and the Center for Creative Photography, the Museum will be the only institution to host this fascinating and rich exhibition. Works from Adams’ first portfolio, Parmelian Prints of the High Sierras, as well as his first photo album (1916) made following his first visit to Yosemite on family vacation. Photographs of New Mexican Indians from the late 1920s and southwestern landscapes, including Canyon de Chelly, San Xavier del Bac and Aspens, New Mexico. Adams’ masterpiece Moonrise, Hernandez, New Mexico, 1941 presented alongside the negative, Adams’ printing notes, his dodging tools and an alternate print that demonstrates the dramatic range of interpretations the photographer applied to his famous work. A range of images initially made as color film transparencies which replicate the vibrancy and luminosity of Adams’s originals. Course descriptions, film footage, and photographs of participants that help convey the experience of Adams’ workshops. Instructional manuals, including his first, Making a Photograph, which demonstrate his dedication to sharing his knowledge of the medium. For more information visit www.phxart.org. I just saw this exhibit, wow! Ansel Adams is more talented then I realized.